You'll love gliding around town on Electra's Townie Original 7D. It boasts a Shimano 7-speed drivetrain and a slick twist shifter that make easy work of hills and headwinds. 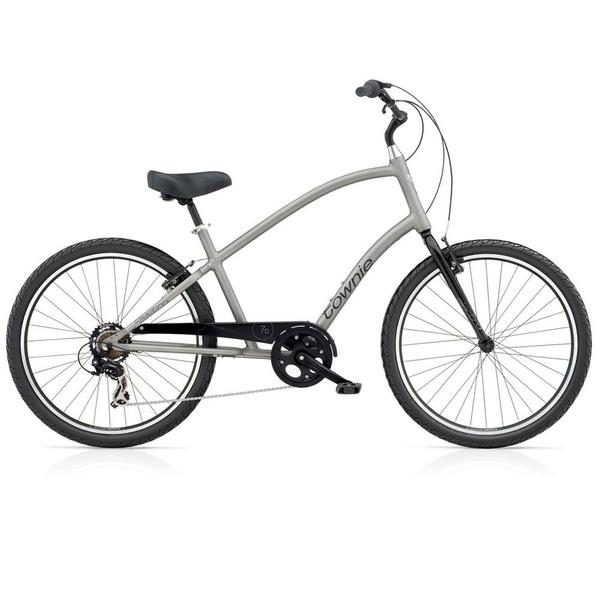 The laid-back aluminum frame, wide tires and plush saddle provide a comfy cruise that's made for carefree afternoons. Plus, you'll love Electra's Flat Foot Technology, which lets you put both feet flat on the ground whenever you want, while the linear-pull brakes deliver impressive stopping power. Color subject to change.